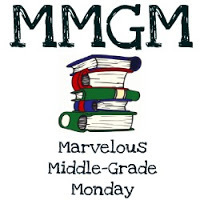 I write and read Middle Grade books… a lot. When I finish reading a book my thoughts focus on who should be its next reader. A student? A neighborhood boy or girl? Sometimes neither when I take a stack to the local school’s library and let them decide. I love sharing and hope my first read follows with many more connections. It seems as adults we have a different idea of what makes a great MG story. Are we writing our stories for kids or for our peers who will hear about them first? I looked back at the nearly 80 titles I’ve read the past year and can confidently say there were only a handful that I would have read when I was 8-12 years old. That statement is made despite each book having an excellent plot, multi-layered characters, and generally superb writing. So what’s going on here? My follow-up question shed some light. What do they like then? Answer: Funny books and those with an adventurous story. But also with characters that are like me. Adult authors of MG books have experienced life and can see the big picture of what it takes to become successful and happy. Age brings a lifetime of experiences and understanding to human interactions. We so want our young people to reach that point that it seeps into our story telling. That’s okay as long as you have a compelling protagonist, and a great engrossing tale to surround readers with. Humor is also a must. Yes, there are those youngsters who devour every written word put in front, but with a few exceptions the books of today will have to wait until they can appreciate them more. Middle grade books may be best enjoyed after middle grade years are long over. They sure have been that way for me. This entry was posted in Reading, Writing and tagged Middle grade. Bookmark the permalink. 12 Responses to Who is our audience? That is a great question. I’ve wondered many times if a child will like an MG book that I’ve read and reviewed. I recently told my great-granddaughter she could choose some books to keep from my library. The ones I loved, didn’t seem to interest her, except for a few multicultural books and a PB about Downs Syndrome since she knows someone with DS. She is 9 and going through a phase of reading pony and horse stories, funny books (Bad Kitty), adventure books and books about animal rescues. And, so many kids enjoy graphic novels and cartoons. I remember being hooked on Nancy Drew books, the Box Car Children, Little House in the Big Woods, Anne of Green Gables etc. But, I would have loved some of the MG books I read by authors like Patricia MacLaughlin, Cynthia Lord etc. I would devour any good story. But, we didn’t have the distractions kids have today with sports, electronics etc. Every hour of their day is planned. It’s a different time. So, funny would make sense. They want to laugh. Yes, it is a much different world – an ‘always on’ world for this generation. That’s why its so important to hook them on the first page. I’ve heard that before but it makes much more sense now. This is such a great and compelling question. As a parent, teacher, and an author I’ve thought about this. I remember hating books that were foisted on me as a kid. And now I want to foist similar books on my own children. You can sort of turn this around as an author–if the kids love your books, but not parents/librarians/critics/etc. who is right? 🙂 Great post, Greg. I’ve learned you can’t please everyone. All we can do is keep writing and hope our efforts make it into the hands of those who may one day fall in love with our stories. Thanks for dropping by this morning, Braden. Hope all is well! Interesting discussion. My girls always wanted “exciting” books with girl protags and had trouble finding them. I’m learning that humor is very important, even in quieter, more introspective stories. Yes, I agree. It seems to work even better in those quieter stories where you don’t expect it. Some great points. Writing what our target readers want is definately a skill we strive for. It all comes down to the kids. I’m trying and tweaking, and learning, and trying, and tweaking, and learning etc. You certainly capture all of the kid favorite points in your writing. Keep at it even though it doesn’t get any easier. I think about this all the time. A big part of the problem for those of us who long to have our books published is how to make the publishers happy so they will publish the book and make the parents and librarians happy so they will buy the book while still making the readers happy so they will read the book. It’s a delicate balance and there are no easy answers. Thanks for a thought-provoking post. I’ve heard very few MG books make it past the first printing. It takes time to spread the word and by the time that happens there are so many others out there taking up shelf space. All we can do is keep writing and reading. Our star will shine some day! Certainly a balancing act. All we can do is keep writing and hope the audience both young and old will enjoy the results.